Today’s gift: a laugh and some perspective on aging from my friend Gina Barreca. Today’s gift is an actual gift, one I received in the mail. A fab NYC p.r. firm sent me a complimentary beauty product to review here on My So-Called Sensory Life and I can’t wait to try it! In fact, I’m so excited that I’m doing a pre-review post. A first here on my blog. News flash — I am a product and accessory junkie (makeup, skincare, perfume, hair, handbags, jewelry, scarves, etc). The new product I’ll review: Skindinavia’s Moisture Lock Finishing Make-up Setting Spray. The press release promises it will be my NEW SETTING POWDER (woo-hoo) and will give me glowy, luminous skin — even in the winter! Wow, right? I’m told that Skindinavia’s makeup finishing sprays were used during the 2011 Lady Gaga and Britney Spears tours – so if these setting sprays can work under those extreme environments, I’ll look amazing dashing around town with the twins, meeting my p.r. clients, or even just around the house. Come back soon for my demo (and my vlogging debut) here! 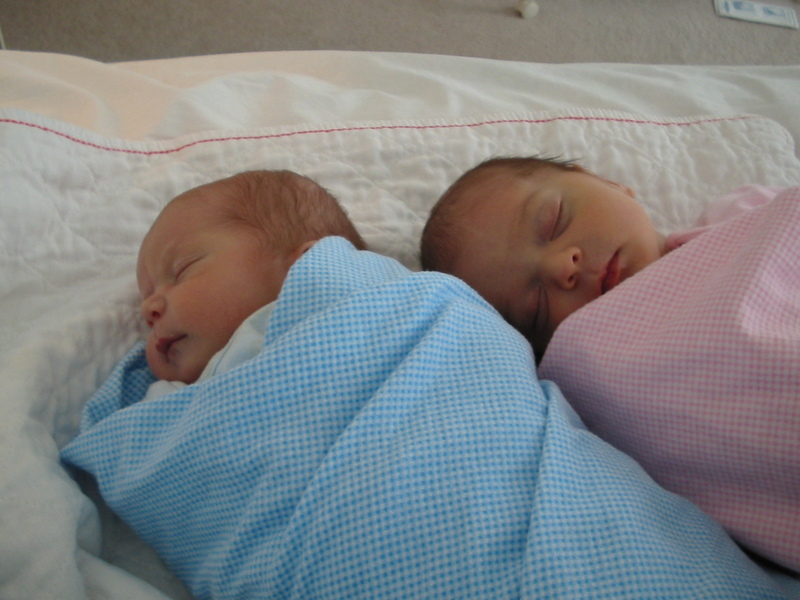 Today’s gift: my twins J and M.
Nine years ago today at 4:36pm and 4:37pm, I met the two people that would profoundly change me. I never expected — nor can I really explain — how my daughter and my son have transformed me. As I told M in bed last night, we (Mom and Dad) wished very, very hard for a baby. Our wish came true (times two!) and when we held M and J in our arms for the very first time we instantly knew how special and miraculous they were, our two little raspberries! 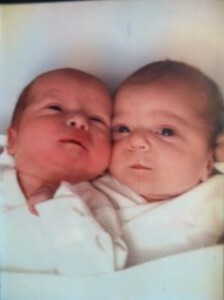 Of course, when I think about January 19th, 2003 and the gift of TWO babies arriving on the same day, from my body(!!! ), I’m breathless, teary, grateful, overwhelmed, and humbled. 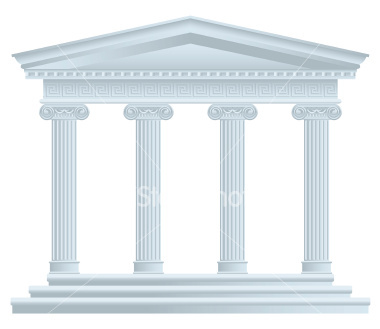 But when I think about all the days that followed January 19, 2003 and brought me to January 19, 2012, I’m silenced. The combination of two children, so different and yet so similar, growing side by side, one with special needs but both so very special…I’m struck by the depth of their bond and the enormity of my role as their mother. But perhaps more than anything, I moved by the knowledge that I would not be the person, woman, daughter, sister, wife or friend I am today without J and M.
Today, I’m celebrating their 9th birthday with a fierce, deep, comes-from-my-core Mother Love! Happy Birthday J and M! My 15 Minutes OR Make Mine A Double! 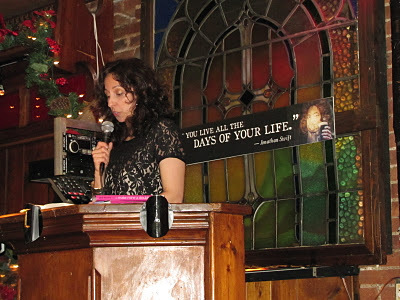 Today’s gift: taking a long overdue moment to (finally) re-post, re-live, re-appreciate, and re-flect on my first ever NYC Author Reading as well as my official publishing debut! 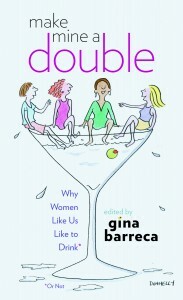 It was during Santa Con 2011 (coincidence) and was for Make Mine A Double (I’m a contributor to this collection edited by Gina Barreca). My pal/colleague Patty Chang Anker attended the event and wrote this lovely, generous review. Did I mention I needed a “double” before I climbed the podium and took the mic? talks we would give new authors before their public appearances through the wall between our offices. Before the appearances we would run around busily double checking logistics and arrangements and hold our own butterflies in, praying “please lord make this event go smoothly,” often not relaxing until the final question was answered and the last book signed. 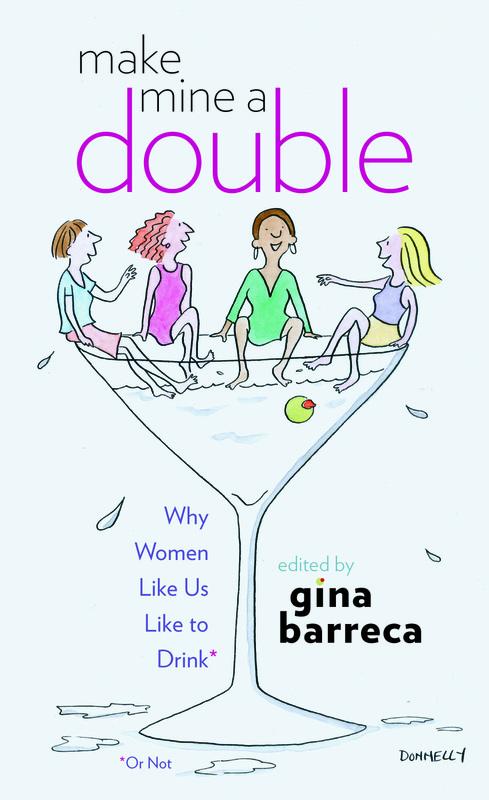 So how thrilling was it for me to come to Laura’s NYC book reading at Swift’s for her contribution to Gina Barreca’s collection MAKE MINE A DOUBLE: Why Women Like Us Like to Drink (Or Not) and see her in action on both sides of the fence? My mind went blank. Decades as a publicist, months visiting Toastmasters, and I didn’t know what to say to Laura that she didn’t already know, that wouldn’t put pressure on her. After a few minutes listening to introductions, I whispered to her, “Read slowly. Slower than you think you should.” It was the best advice I could come up with. Laura’s naturally enthusiastic and a fast talker. Slowing down helps steady the nerves, keeps you breathing. It’s easy to remember. Please lord, make this go smoothly for Laura. And what do you think happened? 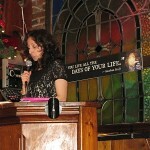 Of course, Laura read her piece, “Mom’s Club” beautifully! She was warm, funny, relaxed, completely composed. We all whooped and hollered. I was so inspired, seeing her up there, going from offstage to on. Stepping out of her comfort zone, and blossoming. There’s a Jonathan Swift quote hanging over the pulpit – “May You Live All the Days of Your Life.” A great toast for all of us as we greet the New Year. Raising a glass to you, Patty! Thank you and Cheers!